One level 2 bedroom, 2 bath unit. Secure ground floor entry with no stairs! Screened in patio, faces parking space (#181) and garage #108 w/GDO. Updated flooring in all areas, paint and bathroom lighting in gray neutral tones. Beadboard accent on walls in entry and dining room area. Laundry room with washer and dryer included off the kitchen. Storage closet in common back area hall with key. Perfect location for living in Carmel. 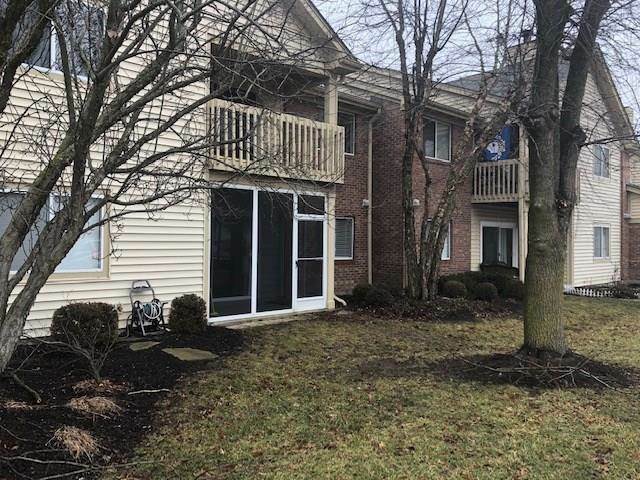 Condo is walkable to farmers markets, Palladium, restaurants, Midtown Carmel, July 4th festivals, etc. One car garage included with some storage. HOA fee is $191 per month. HOA takes care of common areas for mowing and landscape, exterior maintenance of the buildings, pool, clubhouse, and snow removal. Directions:At City Center Drive and Guilford, just east of roundabout on City Center Drive. Go N on Timber Creek Drive at entrance, clubhouse/ pool on left, follow to 1096- Unit #3 Timber Creek, the back of the complex. SchoolsClick map icons below to view information for schools near 1096 Timber Creek Drive #3 Carmel, IN 46032.